What comes to mind when you hear the phrase “Renaissance history homeschool course”? Leonardo da Vinci? Michelangelo? Maybe shoguns in Japan? What about the Byzantine and Ottoman Empires? 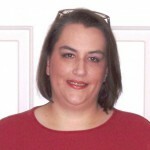 Rhonda Clark helps homeschool students explore Renaissance history not only in Europe, but in Africa and Asia as well. Course activities include crafts, lapbooks, additional reading suggestions, and more. Course Outline for Our Renaissance History Homeschool Course. Thirty-six homeschool history lessons for elementary through middle school explore world history during the Renaissance period from the 1100s to the 1700s. Lesson One: What In the World is a Renaissance World? Lesson Thirty-Six: What Does the Renaissance Mean for You? Not only did the world rediscover a love for art and literature that rivaled the ancient Greeks and Romans, but the world was in a period of flux. This period forever changed not only the power and rule of monarchies, but the landscape of the Catholic Church as well. It also laid the foundations for the Protestant Movement. Although the Renaissance is dated starting in the mid-1300s and ending around 1700, I’m going to travel back a bit further to around 1100-1200 and start our journey there. Those previous 200 years are packed with blueprint and foundational information. You don’t want to miss those key details if you want to fully understand what’s happening. Mapping: I know, this is probably every kid’s least favorite activity, but you can’t study history without mapping. As I tell my kids—“If I have to map, so do you.” I encourage you to invest in a historical atlas of the world. Rand-McNally has a great one that is very inexpensive, and you’ll use it for years. Now we’ll take the second map you printed and look at the world as it was in 1100. 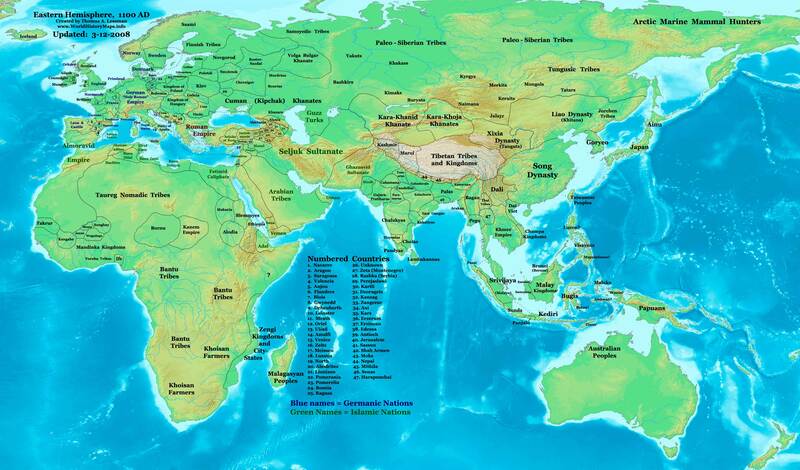 Following this link to a world map of around 1100. Don’t worry, we aren’t going to map this one. I just wanted to give you a view of how disjointed the world was at this time. It was divided mostly by tribes or clans, each ruled by its own leader. Kings ruled small areas—not the vast empires they would eventually reign in the 1600s. Follow this link to a map of Western Europe around 1100 AD. Notice how different it looks compared to today. Label these countries on your blank map. You don’t have to be exact, just give a rough location. You’ll refer back to this as you travel through our journey. Follow this link to a map of Eastern Europe around 1100 AD. As with Western Europe, Russia is divided into Duchies—which are territories ruled by Dukes and Duchesses. Roughly label Russia. If you want to use the world map to map other parts of the world, you may. During the 12th century, most of the population was centered in Europe, or at least we have the most history about those who lived in Europe. Our journey will take us beyond the traditional boundaries of the European Renaissance time to see what was happening all over the world. A Renaissance world is a changing world. By definition Renaissance means “rebirth.” Not only did the world rediscover a love for art and literature that rivaled the ancient Greeks and Romans, but the world was in a period of flux. This period forever changed not only the power and rule of monarchies, but the landscape of the Catholic Church as well. It also laid the foundations for the Protestant movement. Although the Renaissance started in the mid-1300s and ended around 1700, this homeschool history course travels back a bit further — to around 1100-1200. Those previous 200 years are packed with historical blueprint and foundational information. History lessons that include those key details are crucial to full understanding of the historical period. 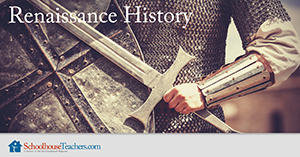 This Renaissance History homeschool course spans 36 weeks and examines art, literature, science, explorers, monarchs, religion, and empires of the historical period. Hands-on projects, writing assignments, crafts, videos, notebooking pages, and even lapbooks are included in this homeschool world history course. 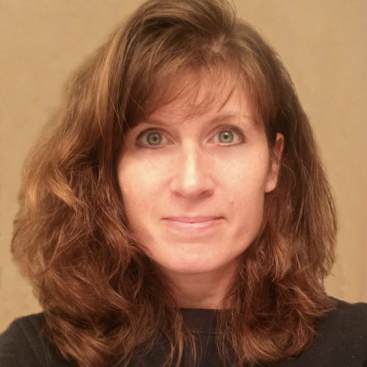 Would you like to tell others about this Renaissance History homeschool course?